Since the time of Mao Zedong’s founding of the Communist Party of China (CPC), the Chinese government has followed Mao’s belief that even nature is subject to the Party— “even the high mountains must bow, and even the rivers must yield”. It can therefore come as no surprise that the Qinghai-Tibetan Plateau is facing the serious consequences of pollution. The result of years of careless waste management is now heavily threatening the health of the Tibetan people, as well as the region’s fish population. Such pollution coupled with grave natural disasters spells out further environmental degradation in the region. China’s latest white paper ‘Ecological Progress on the Qinghai-Tibetan Plateau’ begins with a brazen lie that “the Communist Party of China (CPC) and the Chinese government have always valued ecological progress". The paper would have been a wonderful reading for someone who knows very little about Tibet, but for a regular observer, there are too many lies and factual errors. 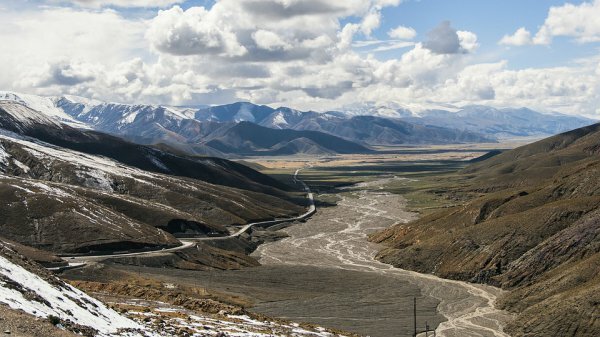 The paper states that ‘the Qinghai-Tibetan Plateau is one of the regions with the strictest water resource management and water environment protection in China’. There were too many cases of factories and mining companies who were not punished despite polluting local water bodies. While claiming that the Qinghai – Tibet railway was an example of green development, the paper quotes from Science Magazine (April 27, 2007) saying (the railway will) “ultimately promote the sustainable ecological, social, and economic development of western China”. But according to the actual article in the Science Magazine titled ‘Building a Green Railway in China’, the sentence begins by stating that” If carefully managed (emphasis added), the Qinghai -Tibet railway will ultimately promote the sustainable ecological, social and economic development of the western China’. To support its argument, the paper disregards intellectual integrity by selectively misquoting incomplete sentences from Science Magazine to alter the actual context. There are far too many contradictions between policies for environmental protection and actual ground implementation. The paper claims that ‘the relevant provinces and autonomous regions have taken active measure to increase public awareness of eco-conservation, such as strengthening public campaigns on environmental protection’.But an official circular issued by the Tibet Public Security Department of the so-called Tibet Autonomous Region on February 7, 2018 has made environmental protection activities in Tibet an illegal act, thereby contradicting the claims made above. The disregard to the pleas of Tibetans in Amchok against mining is yet another contradiction. On May 31, 2016, around 2,000 local Tibetans of Amchok in north-eastern Tibet gathered to protest against mining on their sacred mount Gong-nyong Lari. But the Chinese government brutally suppressed the protesters by seriously injuring many and detaining six local Tibetans. They were calling for “protection of the environment, protection of the sacred mountain and protection of people’s safety”. The paper makes no mention of natural disasters despite Tibetan areas facing devastating floods, landslides, and mudslides in recent years. The mountainous Tibetan Plateau faces the severest impact of climate change due to its high elevation at low latitude. The situation is further exacerbated by unregulated constructions and mining activities in the region. The plateau has seen an unprecedented number of natural disasters across Tibet since 2016. There are numerous floods and landslides occurring in North-eastern and Central regions of Tibet as we write. Unfortunately, the paper does not mention these natural disasters or efforts taken by the Chinese government to mitigate the impact. This is apparently due to lack of real understanding of the current socio-environmental situation in Tibet by the Chinese government. The Chinese government has done very little to address climate change and put forth any preventive measures to mitigate the impact of increasing incidents of natural disasters. As is often the case, it has been the Tibetan monasteries who have rushed to the scene of natural disasters to help the public.While claiming massive progress in the creation of nature reserves, the plight of millions of resettled nomads has conveniently brushed aside. The lack of jobs and educational opportunities in the resettled areas have pushed the nomadic population into the margins of the society where they are compelled into alcoholism, prostitution, and children engaging in petty crimes. A whole generation of Tibetans are impoverished and forced into destitution. Environmental conservation efforts in Tibetan areas are arrogantly forced upon them by the state without informing or taking local communities into confidence. Such colonial approaches have often led to a confrontation between the people and the government. It’s the Tibetans who have preserved the fragile plateau for thousands of years and acquired enormous indigenous knowledge of the land and its climatic patterns.The lack of mitigation efforts to face the new environmental situation and climatic conditions is a major failure. Tibetans should not be left to face a natural disaster in the coming years as it has been in the last three years.The formulation of stricter regulations on protection of nature reserves is a welcome effort, a similar policy is also urgently required to strictly regulate the influx of millions of tourists into the plateau as it could leave a massive carbon footprint on the fragile ecosystem of Tibet. Ever since Xi Jinping became the president, there have been positive efforts on environmental protection across China and in Tibet. But the lack of environmental knowledge, respect for the environment and sincere desire for environmental protection among Chinese officials have led to various contradictions and confrontations. As a result, environmental conservation projects by various local Chinese governments in Tibet often end up further damaging the local environment and destroying people’s livelihood.